Advocate Girish Kodgi has been practicing and handling cases independently with a result oriented approach, both professionally and ethically and has now acquired over 24 years of professional experience in providing legal consultancy and advisory services. 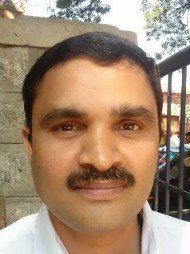 Advocate Girish Kodgi's office is in V.V Puram, Bangalore. The lawyer was an expert in my legal issue. The lawyer gave me the right guidance. The lawyer helped me in taking the right decision going forward. Advocate Girish Kodgi was just too good. No fuss, no complications. Very practical. We needed his services from the United States and he helped get our work done long-distance!!! Thank you Sir!!! and thanks you LawRato.com for helping people like us.